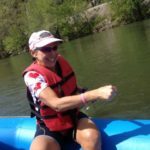 What is it like to ride Bike Virginia? 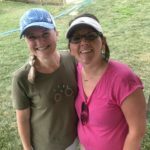 This week I was interviewed for the podcast by Darren Alff of Bicycle Touring Pro. 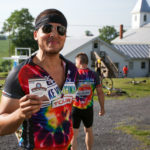 Darren is joining us for the first time as a rider on the 2019 Bike Virginia Tour. He had great questions about what the experience is like to take part in the grand tour, Bike Virginia. 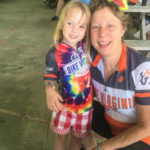 I thought I’d take time to write about the overall experience of being part of the Bike Virginia Family. I’ll include some what it’s like and some answers to common questions below. From my perspective as Executive Director, the tour is organized and put together to be like an adventure camp for adults. We love to plan amazing riding, fun evening entertainment, relaxing features like Our goal is to make your visit fun, easy, and relaxing. We strive to make everything you need for a great time available from before you arrive until you depart the event to go home. 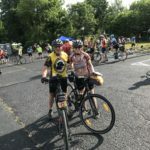 Our other goal is to give you LOTS of choices: when you ride, what you eat, camp or hotel, route you choose to bike, etc… The more you can tailor the experience to your likes, the better vacation you have. 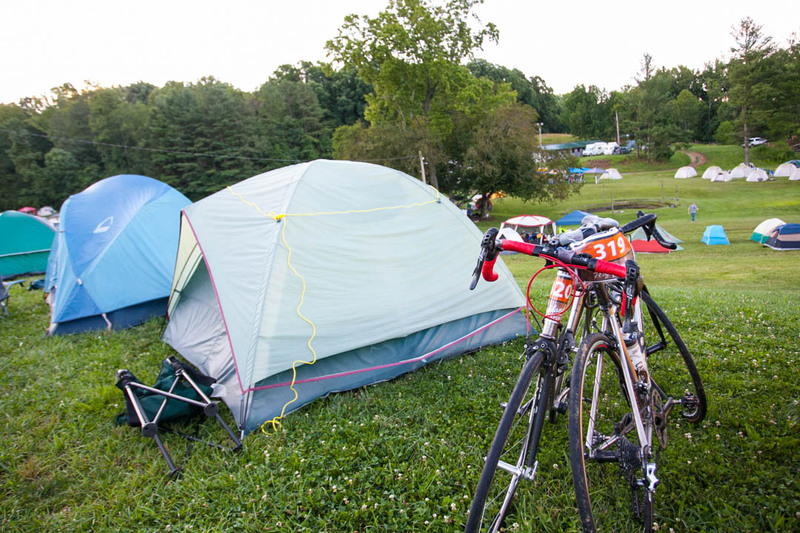 We also offer Weekend, 6 Day and Weekday registration options so riders can come and go as schedule or budget allows. I like to think of Bike Virginia as very organized but very relaxed. How can something be both? We take care of all the details so you can relax and have fun. 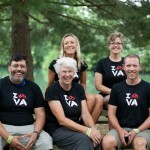 Bike Virginia has 33 years of experience at hosting this event so we have lots of institutional learning. Our staff and volunteers pride themselves on being well prepared, friendly, and ready to help with any questions or concerns that you might have. That means you can relax, eat, ride, and unwind without stress. You’ll see our guests enjoying the live music, laughing with friends, stretched out under a tree having a nap, reading a good book. getting a massage, doing yoga with others, or simply relaxing in their tents. There’s some aspect of the event that suits everyone, really. 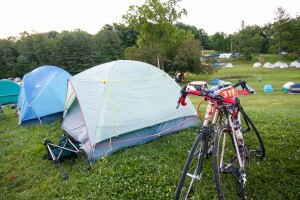 Some people enjoy the slow pace of camp after the day of biking. If you’ve got exploration in your veins you might like to take a guided tour, catch one of the shuttles to town, or strike out in your own car. 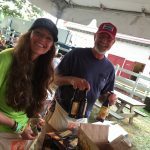 Our Hospitality Area is staffed by our full time staff and volunteers. We welcome a visit and your questions. Come sit for a while and soak it up. You can even hop in and lend a hand if you like to get involved. It’s common for us to adopt new people into our working family! 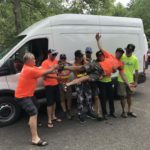 Some years we have people with strains and sprains who can’t ride but have a great time being part of the Bike Virginia team that makes all the magic happen. Guests come to the event alone, with their sweetheart, and with groups large and small. There’s no lack for company if you so desire. There’s also plenty of space to spread out, find a quiet nook, and get away from it all. I’ve noticed a lot of people really enjoy the digital detox of getting away from their usual phone and computer activity. It’s a refreshing place to reconnect with people one on one, welcoming smiles, and nature. When you sign up for the event you will receive email updates include a PDF rider manual. The Rider Manual has all the arrival details you need to get there without worry. We’ll provide addresses, phone numbers, parking and camping maps, and an overview of the facility. We also give you our event schedule in the Rider Manual so you know all the whens and hows. See a sample, last year’s rider manual here…. Our event is based in 2 locations each year. We call them Headquarters 1 and Headquarters 2. We stay for 3 days at each location. 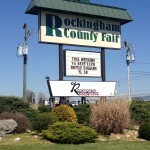 In 2019 the first location is Woodstock Virginia (Friday, Saturday & Sunday riding take place her). 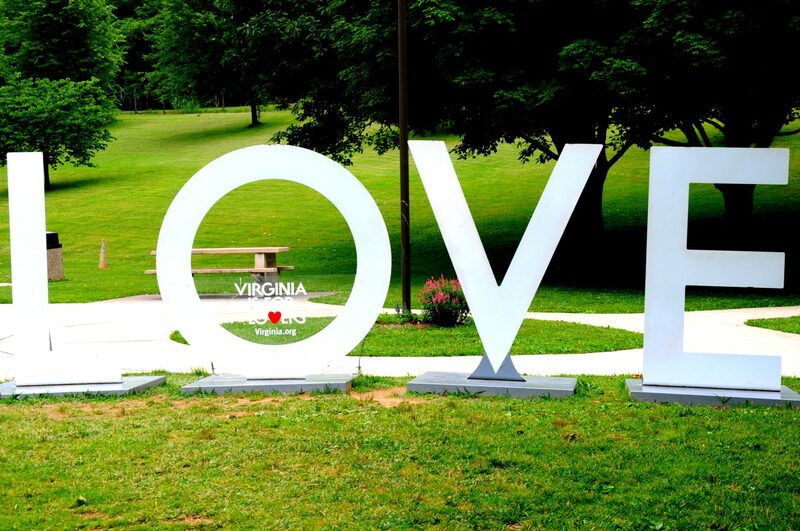 Our second location is Harrisonburg, Virginia – riding Monday, Tuesday, and Wednesday take place from this headquarters. See more below on Move Day. Our event always starts on a Friday. When you drive up to the event you’ll see parking signs and helpers that will get you to the right place. People who camp, stay in hotels, and have RVs will all be directed to specific places. From there you’ll be directed to check in at Registration. Registration generally opens between 9 & 10am. Specific details will be provided in your Rider Manual. At Registration you will greeted by our friendly volunteers and staff. Just look for the letter that corresponds with your last name and you’re packet will be waiting there. Inside your packet you’ll find your wrist band, your number plate, and your Tour Guide. The Tour Guide contains general riding maps, schedules, activities, and vendor information. We also offer this information as a phone App. At check-in we also take walk-in registrations (they are handled in a nearby area). If there are any questions about the registration process you’ll be directed to our Solutions staff. They can help you out with anything you need. After check-in most people who are camping will set up their tent in the camp area. The camping area will be designated on maps. 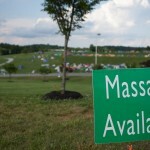 In most locations you are within a short walk to the camping area. In the camp zone you’ll find showers & portable toilets. You’ll have peace and quiet too! Quiet hours are from 10pm to 6am. Almost all of our guests choose to ride their bike on Friday, the first day. We offer 1-2 routes under about 30 miles in length. 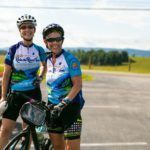 These are great routes for kicking off your vacation, for stretching your legs after the drive, and for setting the tone for a fun bike adventure. Riding closes at 5pm on that Friday, so you can easily ride if you check in by 2pm. Our bike routes at Bike Virginia all feature signs that you follow. No need to use a map or a GPS, but you can use both if you like. We do not provide cue sheets, but provide downloadable GPS files. You always ride at your own pace. This is NOT a race. 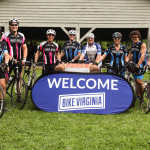 Bike Virginia is about touring, soaking up the experience! Friday evening marks the beginning of the entertainment on site at the event headquarters. There, you’ll find food, beer & wine garden, live music, bike vendors, and lots of people who love to do the same thing you do. It’s a great place to come with friends or come by yourself. You’ll find it very warm and inviting. Saturday & Sunday morning we offer a breakfast & coffee vendor service at Headquarters 1 to get you ready for riding. Riding begins between 7 & 9am. Riding concludes each day at 5pm. You can choose your departure time. You can also choose the route you want to ride that day. No pressure to decide in advance. On the routes we have Comfort Stations AKA “Rest Stops” about every 20 miles. There you will find bathrooms, food, drink, and often these are located in interesting places like wineries, historic sites, and interesting parks. Take your time and enjoy the view as you have some snacks and stretch out any kinks. Sunday evening is the last night at Headquarters 1. 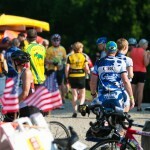 People who have signed up for the weekend ride can choose to sleep over on Sunday or head home after riding that day. Food is super important to us! We have a full time staff person dedicated to organizing all aspects of food for your enjoyment. 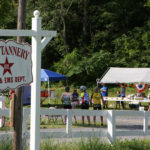 During the ride you’ll enjoy tasty snacks and treats each day at our rest stops. There you’ll be able to fuel up and rehydrate at one of our planned comfort stations which are located about every 20 miles. We are proud to offer our Food Truck Fiesta at headquarters. As part of your registration packet you’ll receive a set number of meal tokens. Those tokens are good for specific meals beginning at 11:30am. You get to choose when and what you eat. 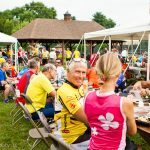 No boring catered spaghetti meals at Bike Virginia! Think about great things Thai food, Barbecue, Bistro salads and sandwiches, and more. Breakfast and coffee are available for purchase in the mornings beginning on Saturday. 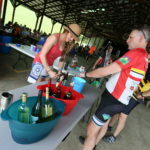 One of the beautiful things about the Food Truck service at Bike Virginia is you can buy extra meals and drinks any time you like. 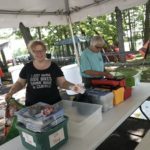 There’s no need to go hungry at Bike Virginia. Each evening we offer a cash bar Beer/Wine Garden with regional favorites. 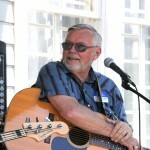 Sit back, sip on a cool beverage and take in some regional music from the talented musicians that join our event. 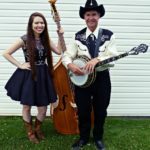 This is a great place to meet new people too! Monday is Move Day. On that morning we pack up camp and all drive to our second headquarters. We set up there that morning and prepare for 3 more days of fun! The beauty of handling move day this way is that allows you to have your car with you the whole time! You can carry those extra sandals you just could not bear leaving home without. On Monday we start riding by around 9am and the fun resumes! At the second headquarters you’ll find all the amenities of the first including food, drink, showers, and toilets. The second most favorite aspect of this format of event (besides having your car for running around) is that on Wednesday when you finish the event, you can head home whenever you like! We find that our riders are much more relaxed on the last day because they can plan according to their own preferences and needs. We offer lots of choices! We provide a big group camp area for those who like to camp. 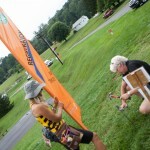 We also have Assisted Camping through a vendor who provides tent rental and set up. Check out the SLEEP page to get the full details on 2019’s options. I’m often asked which is better, camping or staying off site? This is a very personal choice. Lots of people love being at headquarters where everything is just steps away. This is our most budget friendly option too. Other people love sleeping in a hotel room, or having a kitchen where they can cook dinner with friends. All of them are great and will offer up the same vacation pleasures. If you choose to stay off site, there will be a specific parking area for you to park your car when you come to the event each morning. It’s a lot of fun for the staff and the riders to be around headquarters. You can enjoy one of our planned activities like yoga, massage, music, sometimes dance lessons, etc… or you can wander and mingle. We offer on site services for a fee such as bike repair and massage. For free you can take part in our learning clinics, yoga, mediation, and live music. Most activities are planned for afternoon, after riding. Some activities are available during the day if you choose not to ride. One of the most fun aspects and most challenging aspects of our job is to plan something new every year. The tour moves around the region so we are always creating a new experience. It’s fun to be a part of that planning process and to be a part of the tour as we enjoy the local flair of the places we visit. You can count on the same quality and the same services year after year, but you can enjoy the whole new feel of the riding, the local sights, the local foods, and the people you’ll meet each year you come. That’s part of what keeps people coming back year after year. The other part is the family you become a part of. It’s a reunion of sorts, people come back year after year and reconnect. We have some riders that have ridden nearly all of our 33 years (32 years to be exact for the longest running rider). Others come and come back, and come back and bring their kids, and their grandkids. It’s special to be a part of that tradition. I’m on my 11th tour as Executive Director this coming year and I love being there every single time! Here are a few of the questions I am often asked. What kind of rider do I have to be to enjoy the event? Riders of all types and ages enjoy our event. We see families with small children in carts to seniors in their 80s riding our ride. If a child is under 12 they must be on an attached bike or tandem. We recommend that you are generally comfortable in traffic even though we aim to have you riding on low traffic routes as much as possible. 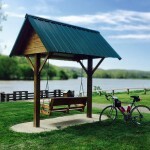 Because we offer routes from 20-100 miles in length most riders can find something to enjoy. How hard are the routes? Each year the terrain is different. In 2019 we are visiting an area with rolling valley riding. This location is known for it’s varied terrain. We are offering routes that range from 4 in difficulty to 8 on a scale of 10 for the 2019 event. Difficulty is based on both length and climbing. We rate each route as the planning is finalized in spring 2018. What happens if I can’t finish or I break down? We have a SAG (Support & Gear) team in trucks that are ready to assist you if you need a lift. Just call the number on your event wrist band for SAG support and we will get you on the list to be picked up. We use pick-up trucks and vans to transport participants who need assistance. Bikes of all types come to the event. We see trikes, recumbents, unicycles, tandems, and e-bikes. All are welcome as long as they are ridden safely around other guests. The most important thing is to be comfortable and ride something that fits you and gives you a safe riding experience. Will there be plenty of food? We make sure that our rest stops are well stocked with pletiful food and drink. Once you get back to headquarters you will be able to enjoy Lunch using your Lunch Token. Just exchange your token for the food truck meal you want. We have a variety of food types offered through these vendors. Will I be able to find food that suits my needs? 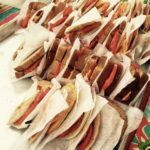 Our food vendors offer a variety of choices include gluten free and vegetarian. We try to have a selection of foods that help meet most dietary desires. 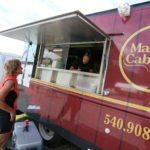 As soon as our menus are finalized with the food trucks we will be happy to provide them to you. At rest stops we always offer simple fruits and Gatorade in addition to other types of snacks. If you have a special dietary need for your on the bike food you may wish to carry a bar or snack that meets those needs. We try to make sure everyone can eat but allergies and very stringent diets may require special planning on your part. I myself have a prescription diet and allergies so I bring my RV to the event so I can prepare and carry all the food I need. 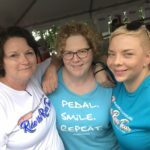 Are e-bikes allowed at Bike Virginia? E-bikes (electric) bikes are welcome on Bike Virginia. You will be responsible for charging your own batteries and charging may not be available to campers for this kind of battery. Most e-bike riders choose to stay in hotels for this reason. We also require that you maintain a safe bicycling speed around other non electric bike riders. How will I charge my phone? We offer charging stations at each event headquarters for cell phones. You can drop off your phone or stay with it while it charges. These charging stations are not guarded by our staff but most people feel completely comfortable leaving their devices there. It’s a good idea to put your name on your phone and cables. We are proud to offer the best shower trucks in the US for our event, No Sweat Shower Trucks. These shower trucks offer 18 mens and women’s showers that are immaculately maintained throughout the day. They have hot water, a changing area, and an adjoining outside sink are with mirrors and electrical outlets. In some facilities we also offer indoor showers. This varies from year to year based on the amenities at each headquarters locations. Generally people find little or no wait for showers. We offer a packing list here… with some suggested items. I have more questions, can I get help? You’re always welcome to email or call us for additional details. We’re happy to help you plan. See our Contact Page for details on how to reach us.